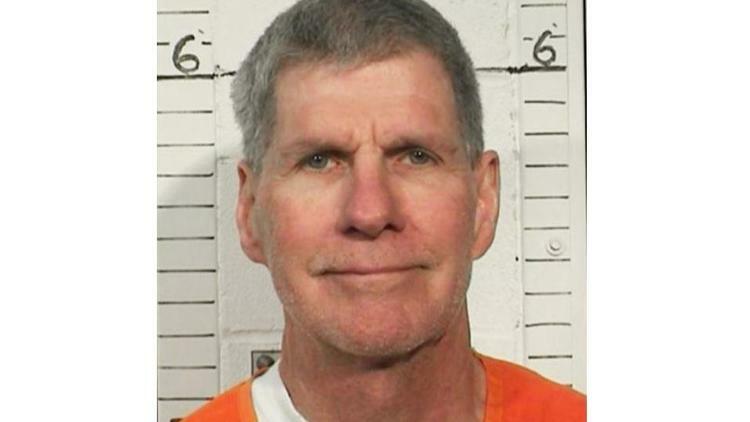 California review board denied parole Thursday to Charles “Tex” Watson, the self-described right-hand man of Charles Manson and a key figure in the Manson family’s 1969 killing spree in the Los Angeles area. Watson, 70, was initially sentenced to die in San Quentin’s gas chamber for his part in the murder of pregnant actress Sharon Tate and six others. In 1973, his sentence was commuted to life in prison after the state Supreme Court ruled that the death penalty was unconstitutional. The panel’s decision, reached late Thursday, marks the 17th time that Watson has been denied parole, according to Luis Patiño, a spokesman for the state Department of Corrections and Rehabilitation. He’ll be eligible for parole in five years. Los Angeles County Dist. Atty. Jackie Lacey condemned Watson after the parole board’s decision was reached. “These were some of the most horrific crimes in California history, and we believe he continues to exhibit a lack of remorse and remains a public safety risk,” Lacey said in a statement. Watson was convicted of joining other Manson followers in the Aug. 9, 1969, massacre of five people including Tate, who was married to director Roman Polanski. Before storming the Polanski home in Benedict Canyon, Watson climbed a pole and cut the telephone wires. He also fatally shot Steven Parent, a man who was visiting a friend at the Polanski estate. Next, Watson and other Manson followers — Susan Atkins, Linda Kasabian and Patricia Krenwinkel — carried out the barbarous slayings. Abigail Folger was stabbed 28 times; Jay Sebring was shot once, stabbed seven times and found with a rope around his neck; and Wojciech Frykowski was stabbed 51 times and shot twice, according to court papers. Tate, who was eight months pregnant, was stabbed 16 times and found with a rope around her head. After the killings, Watson and the other Manson followers — who were covered in blood — drove away, stopping to use a hose to wash off. 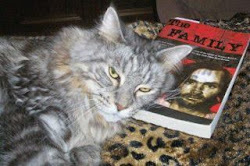 The Los Angeles County district attorney’s office has long opposed releasing Watson and other members of the Manson family. Prosecutors said Manson and his followers — based out of the Spahn Ranch commune in Chatsworth — were trying to incite a race war that the cult leader believed was foretold in the Beatles' song "Helter Skelter." During the 2011 hearing, Watson said his decades behind bars had given him time to reflect on his delusional beliefs and horrific crimes. The parole board recognized Watson’s efforts to reform but found that he still posed a danger to society. The parole commissioners opined that he lacked a depth of insight into the grisly crimes and their effect on the nation. Watson is in Mule Creek State Prison in Ione, about 40 miles outside Sacramento. Behind bars, he has married, divorced, fathered four children and become an ordained minister. He also earned a bachelor’s degree in business management in 2009. According to a website for Watson’s ministry, he works as a janitor and attends Bible study. Most of the key players in the Manson murders — including Krenwinkel and Leslie Van Houten — continue to serve life sentences with the possibility of parole. Most, including Manson, have been denied repeated requests for parole. In 2009, Manson follower Lynette "Squeaky" Fromme was released from prison. Atkins, who stabbed Tate to death, was denied parole even when she was terminally ill. She died in September 2009. Wow they worked long hours and made me lose sleep. that's okay, I'll sleep until 5pm tomorrow. Only five years until his next parole hearing! Keep the dream alive Charles "formally known as Tex" Watson!